LOCAL and foreign electoral monitors as well as other political stakeholders would converge in Abuja on Thursday on how to achieve credible elections at the Annual Murtala Muhammed Memorial Lecture. The News Agency of Nigeria (NAN) reports that Gen. Murtala Muhammed was Nigeria’s Head of State from July 29, 1975 to February 13, 1976. 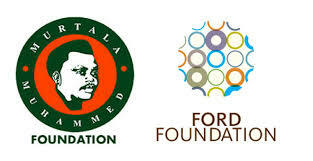 According to Murtala Muhammed Foundation (MMF), this year’s public lecture would “provide a platform for broad-based solutions to key issues confronting our nation, including having credible elections. “The gathering will be an opportunity to honour the memory of the former Head of State (1975-1976) and assure all Nigerians of the candidates’ collective determination and commitment to contest and allow for free, fair and credible elections,” MMF Chief Executive, Mrs Aisha Muhammed-Oyebode, said in a statement. Muhammad-Oyebode said that among confirmed expected guests at the lecture are former Tanzania President, Dr Jakaya Kikwete, Head of AU Election Observer Team, Ellen Johnson Sirleaf, Former President of Liberia and Chairperson of ECOWAS Observer Mission and Festus Mogae, former President of Botswana and Head of Joint IRI/NDI IEO Mission to Nigeria. Others are representative of the Secretary-General and Head of the United Nations Office for West Africa and the Sahel (UNOWAS), Dr Mohammed Ibn Chambas. “The Foundation will hold a series of activiities which will focus on voter’s education and awareness as part of the 43rd anniversary of the late head of state,” Muhammed-Oyebode said. She said that the lecture, with the theme: “Towards Credible, Peaceful and Participatory Elections: Moving Nigeria’s Democracy Forward”, will attract notable influencers from all walks of life with the Emir of Kano, Muhammadu Sanusi II, as Royal Father of the day. Who will deliver the lecture? Such a basic question should have been answered in the second paragraph.